In a night foodies won’t want to miss, actor, author and red carpet commentator Mario Lopez will co-host Restaurant Rave at Style Week O.C. on Thursday, October 6 at Irvine Spectrum Center. Lopez will join celebrity chef and radio host Jamie Gwen to showcase the latest dining trends while he prepares a signature dish from his new book Extra Lean Family. The festivities, from 7 to 9 p.m. in Giant Wheel Court at Irvine Spectrum Center, will open with the Immortals Lion Dance Troupe entertaining guests. In addition to a cooking demonstration by Mario Lopez and Jamie Gwen, chefs from new Irvine Spectrum Center restaurants Capital Seafood, Paul Martin’s American Grill and CUCINA Enoteca will take the stage with cooking demonstrations and food sampling. Wood Ranch BBQ & Grill, also new to the center, will be on hand with a prize wheel for visitors to take a turn winning food and special offers. Food sampling will also be offered by other Irvine Spectrum Center restaurants including Chipotle, Dave & Buster’s, Ruby’s Diner, Veggie Grill and Red Robin. Lopez will also greet fans and sign copies of his cookbooks, Extra Lean and Extra Lean Family. His first cookbook, Extra Lean, was a New York Times best seller and as a new father, Lopez wanted to write Extra Lean Family to teach families how to create healthy, balanced meals. 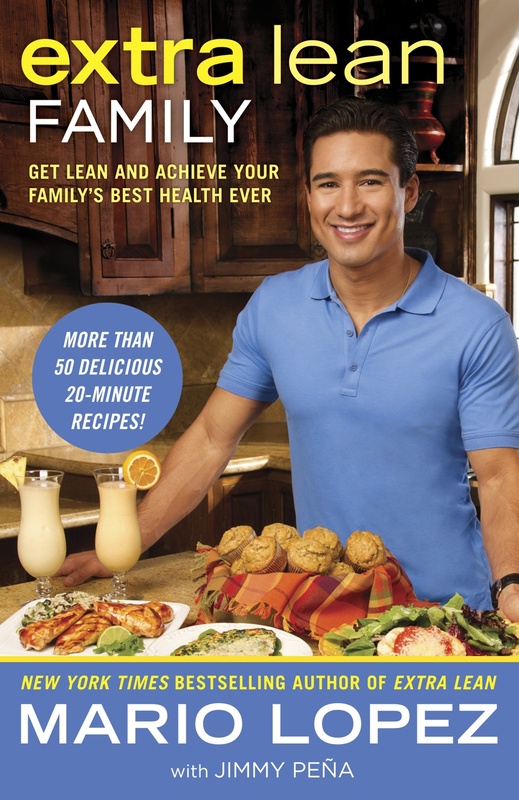 Stay tuned for a GIVEAWAY of a signed copy of Extra Lean Family! OC Restaurant Week is Here!